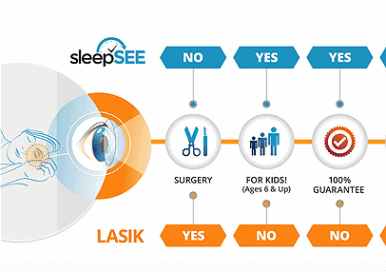 The sleepSEE ortho-k vision correction system is a nonsurgical procedure used to correct your vision and control myopia (nearsightedness) progression in children. You wear orthokeratology contact lenses overnight while you sleep. Upon awakening, you remove the lenses, which results in clear vision throughout the entire day. The sleepSEE system is great for adults and children (six years old and up). No more broken glasses or lost contact lenses while in school. Now I can do more because of my sleepSEE lenses! Thanks to sleepSEE, I don’t wear glasses or contact lenses while playing sports. I focus on my performance...not my eyes. 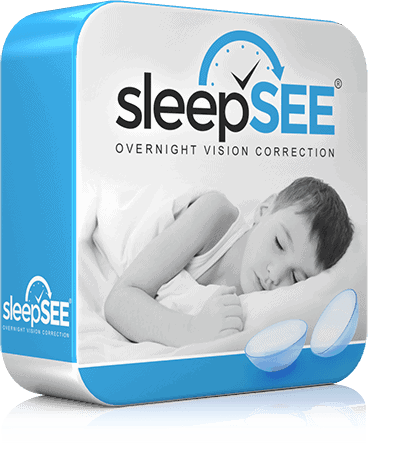 No more dry, itchy eyes throughout the day because I wear my sleepSEE lenses only at night when I’m asleep! 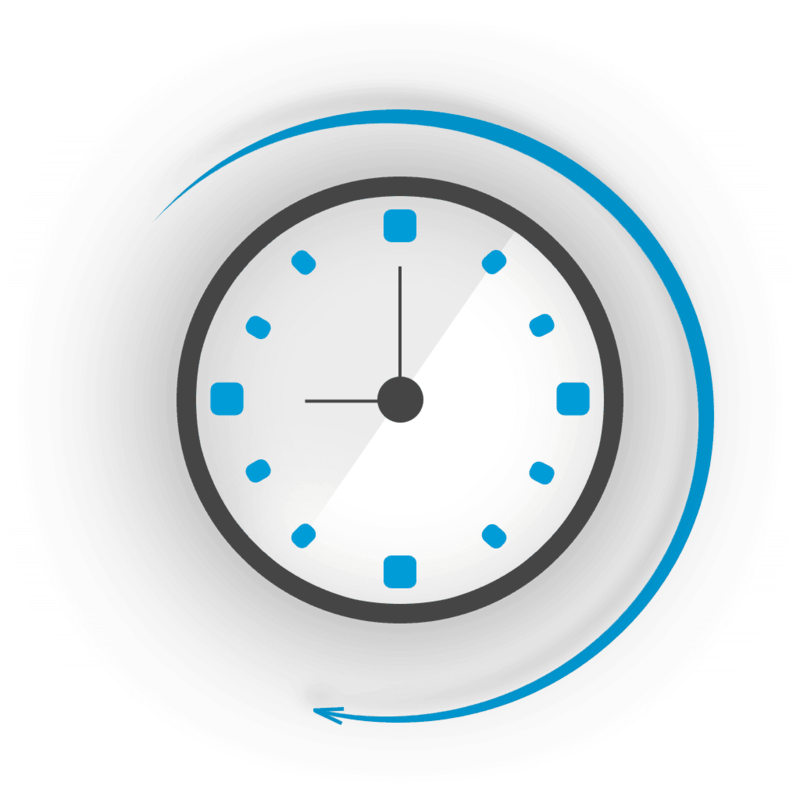 Properly cared for, sleepSEE lenses can last up to 2 years. Approximately half the cost of LASIK, and low replacement costs! If you stop wearing sleepSEE lenses, your eyes return to their original shape. The sleepSEE ortho-k system is quickly becoming the world’s No. 1 choice for nonsurgical vision correction. Safe, reversible and clinically proven to slow down myopia progression in children. No cutting, no burning. And no recovery necessary! No more lost eye glasses, scratched lenses, broken or bent frames. All sleepSEE lenses come with a 30-day 100% money-back guarantee! Receive a $50 Rebate when you sign up! Enjoy Your Day! No Glasses or Contacts! The doctors in our network are so confident the sleepSEE orthokeratology system will have you seeing clearly that if it doesn't, we will give you $200 towards your LASIK surgery. Don't worry. We won't share your email address. Don’t worry. We won’t share your email address. Your email has been successfully sent and we appreciate you contacting us. We will be in touch soon. Copyright by sleepSEE 2019. All Rights Reserved. 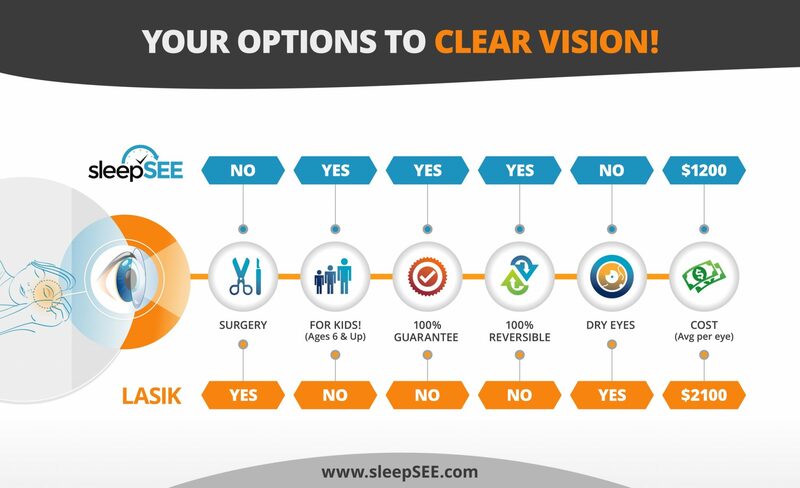 Please ask your eye doctor about sleepSEE ortho-k financing options. To learn more, click on the button below. Our goal is to increase orthokeratology services and decrease myopia progression in children worldwide.